Destin, Florida’s signature event and a tradition since 1948, the month-long Destin Fishing Rodeo is a fishing tournament that gives anglers of all ages a chance to get in on the fun! Not an angler? Daily weigh-ins at A.J.’s Seafood and Oyster Bar provide entertainment in a harbor-front atmosphere you’re sure to enjoy. Over 30,000 anglers compete in the Destin Fishing Rodeo for a chance at their share of over $100,000 in awarded cash and prizes. The Rodeo is free to anglers fishing aboard registered boats and the tournament is open to both Private and Charter Boats. Kids love the rodeo too! There are events and activities just for kids. 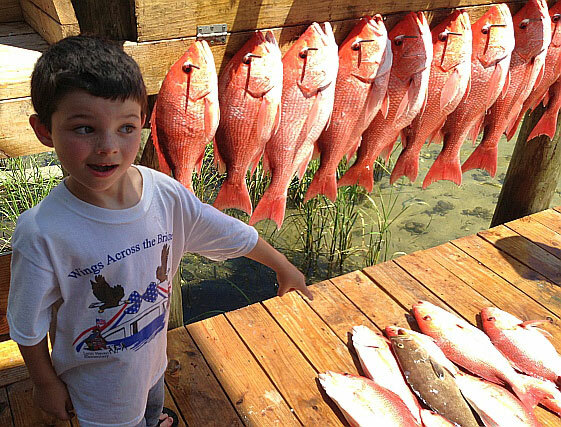 For example, every child who enters a fish in the Destin Fishing Rodeo that weighs in at 1 lb. or more gets a rod and reel and a certificate for framing. During the Rootin’ Tootin’ Rodeo Round-Up Okaloosa Island Pier comes alive with junior anglers. This event wraps up with lunch on the dock. The entry fee for this event is nominal, and includes the pier fee for the angler and parents, a tee shirt, bait, a rod and reel to keep and lunch. Don’t miss out! This is a great weekend to plan on being in Destin and taking part of the culture for which Destin is famous. And don’t forget about “Mako My Day” Shark Saturdays - anglers weigh-in sharks and the kids love it! In 2007, the largest shark caught was 638 pounds! Wow!